Have you heard about Recumbent bikes? A bike that used by some people for their own home-gym workout. And this is one of a great way to do an exercise. It offers some many advantages for your body without waste too much time for going to gym. 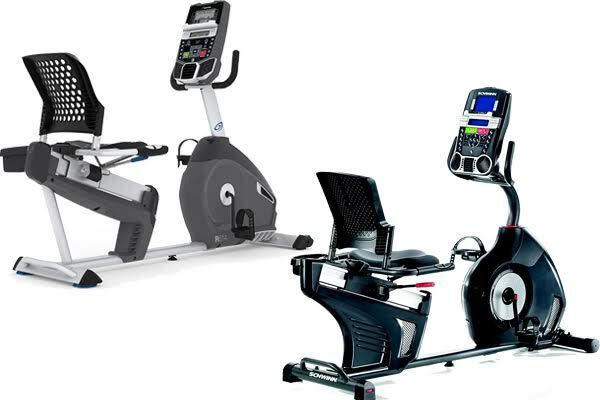 When it comes brands about recumbent bikes, there will Nautilus R614 and Schwinn 270 in your mind. From the price, we know that they are similar enough, but how about the functions or specifications? It means that you have to read the articles about Nautilus R614 vs Schwinn 270 first. Schwinn 270 Recumbent Bike is loaded with some great features to have a great bike, an intense workout, and enjoyable exercises. It has 29 programmed workouts that can simulate easier and fun workouts, and you can also download your exercise data you need so that you can track your performance from workout to workout. Talk about the quality, Schwinn 270 is built well with high speed and inertia perimeter weighted flywheel, so that the machine planted to the ground and its 3-piece pedal cracks with oversized pedals provide a comfortable biking motion. You can find variety of accessories like Sealed acoustic chamber speakers for high quality sound, super-silent flywheel, a USB charging port, a water bottle holder, the option of attaching a POLAR chest strap. Parameters like rpm, total distance, speed, resistance level, intensity and calories burned are all shown by Dual Track. Nautilus R614 and Schwinn 270 are bike that coming close to each other, just in one case they are different in selling-price. With Schwinn 270, you have to a little more for it. For the features and other things, it is depending on individual, what kind or what type of recumbent bikes they are looking for.